Both are connected to the same router accessing the public network. Both can access the Internet. None of the PCs can ping each other. What am I missing here? Shouldn't it be possible for 1 PC to ping the other? You probably have windows firewall on both of them. You need to explicitly allow ICMP echo requests, as the firewall does not by default. 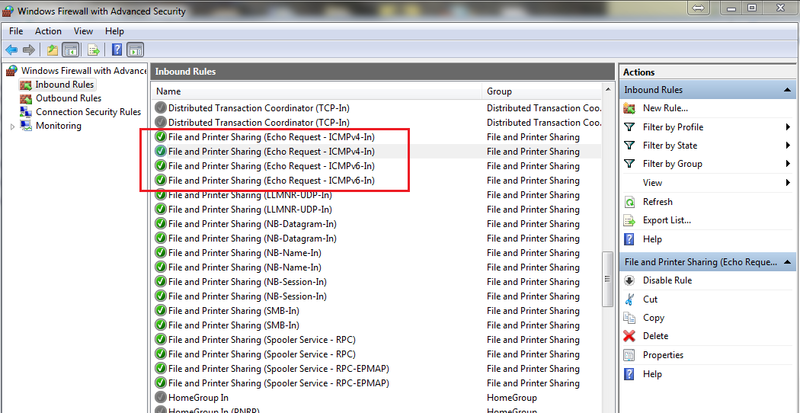 Change your network from 'public' to 'private' via a single click within the Network/Share Center on each PC. That alone will do it; however. consider ditching Windows Firewall for an excellent third-party firewall (a few free ones do exist that are of such quality - even though I'm dying to recommend 2 to you. do your own research - always do your own research). If you stick with Windows Firewall, and insist on keeping your network 'public', then definitely follow Kyle's instructions if you actually do mean ping as in ping or ping as in a word for something else you associate with pinging. Not the answer you're looking for? Browse other questions tagged windows-7 networking windows-vista router home-networking or ask your own question. Can I make two wireless routers communicate using the wireless? How can I add another independent network to an already existing one?